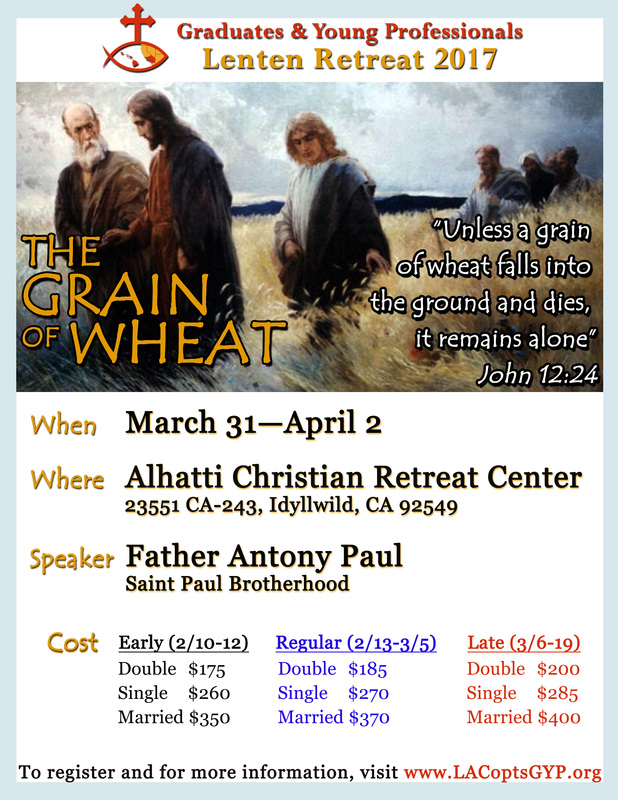 Under the auspices of His Eminence Metropolitan Serapion, the Graduates and Young Professionals Committee, would like to invite you to the 8th Annual GYP Lenten Retreat: “The Grain of Wheat”. This is based on the book “The Grain of Wheat” by Fr. Matthew El-Meskeen. Fr. 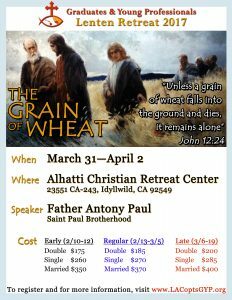 Antony Paul of the Saint Paul Brotherhood, will lead spiritual and introspection discussion as our speaker. We encourage you to read this book prior to the retreat! Registration opens on February 10th! We hope you are able to join us for this spiritually enriching retreat! Why: Another wonderful chance to continue to grow in the Lord! Please mark your calendars and share with your fellow graduates and young professionals. Questions? Don’t hesitate to ask, we’re here for you! Send us an email​ and we will respond promptly. We look forward to seeing you all then!